eny photos of a red mk3 with colour coded bumpers? painted at last wooo hooo!!! 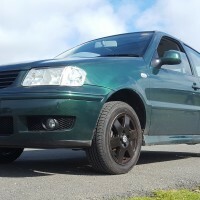 Professional Pics of the Polo.